Over the past few months, Academic Computing Services and your Academic Technology Services Directors (ATSD) have communicated with University faculty that SMU has ended its partnership with ExamSoft as of July 1, 2017. After that date, faculty will not have access to your exams, assessments, or question bank data. 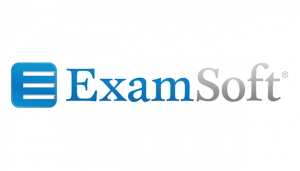 We would like to remind you again to retrieve any data or questions from ExamSoft before July 1, 2017. If you need help with this contact your ATSD or the IT Help Desk at 214-768-HELP. As an alternative to ExamSoft, we now provide Respondus LockDown Browser for use with Canvas Quizzes to “lockdown” a student’s browser during proctored exams. LockDown browser does not require you to create special quizzes outside of Canvas. You simply select the LockDown Browser option. The Canvas quiz will prompt students that they must use LockDown Browser. If they do not have it installed they can quickly add it to their computer or device. 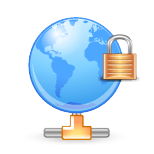 The specialized browser, designed exclusively for secure quizzing, is stripped of all plugins and add-ons to provide a stable and secure testing experience. If students attempt to take a “locked down” quiz through Canvas without the secure browser, they will be directed to download the application on their Windows or Apple systems, or to use the LockDown Browser on an iPad. To read FAQs and more information about using Respondus LockDown Browser in your class, visit our services page at smu.edu/lockdown-browser or contact the IT Help Desk to set up an appointment for help getting started. Previous Previous post: I ❤️ Lynda Contest: Continue to Learn with Lynda and win a cup of Joe.